A family, like a quilt, can be pieced together in many ways. And a quilt, like a family, is reach with stories. Lacey's great-grandmother has a trunkful of family quilts, and stories, she loves to share with Lacey. And the stories the old quilts tell help Lacey understand not only the generations that have come before her, but her own family as well. 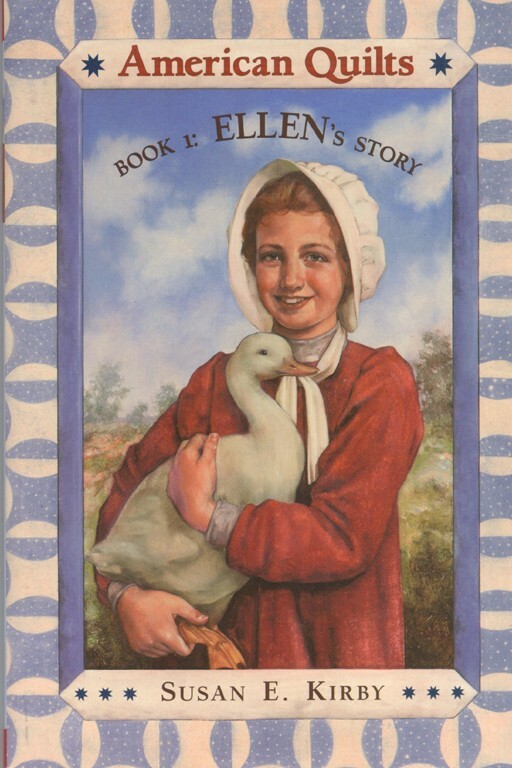 Take Ellen, Lacey's great-great-great-great-grandmother, growing up on an Illinois farm in 1830. Ellen asks her father to bring her some blue calico; instead, he brings her a new stepmother, Julia, and Julia's difficult son, Silas. It isn't until clashes between Silas and Ellen's father threaten to tear her new family apart that Ellen realizes how much Julia has come to mean to her -- but is it too late to save her patchwork family?